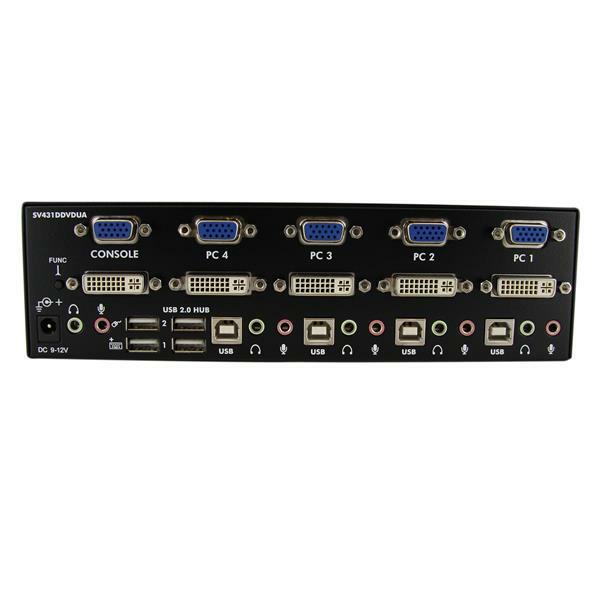 This dual view KVM switch provides 1 VGA and 1 DVI-I port per computer connection for high-resolution video, as well as audio switching capability between connected computers. 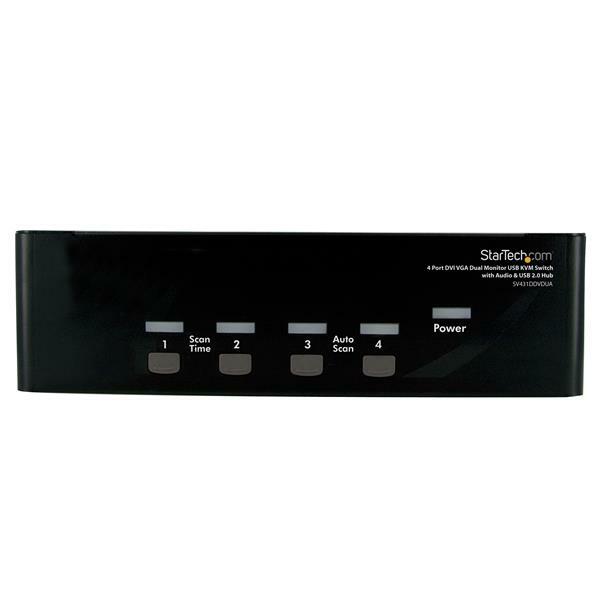 The DVI/VGA KVM switch features an integrated 2-port USB hub that allows USB 2.0 peripherals to be shared between connected computers, and offers a compact design with a rugged metal chassis for durable performance. NOTE: While both DVI-I (analog) and DVI-D (digital) are supported by the KVM, source PCs must output the same signal for proper switching. It is recommended wherever possible to use DVI-D cables across all PC to KVM and KVM to Console connections. If necessary, please contact technical support for assistance identifying your source. Note While both DVI-I (analog mode) and DVI-D (digital only) are supported by the KVM, both source PCs must output the same signal type for proper switching. It is recommended wherever possible to use DVI-D cables across all PC to KVM and KVM to Console connections. Please contact technical support for assistance identifying your source. Only the monitors hooked up through VGA or hooked up through DVI are working. What do I do? 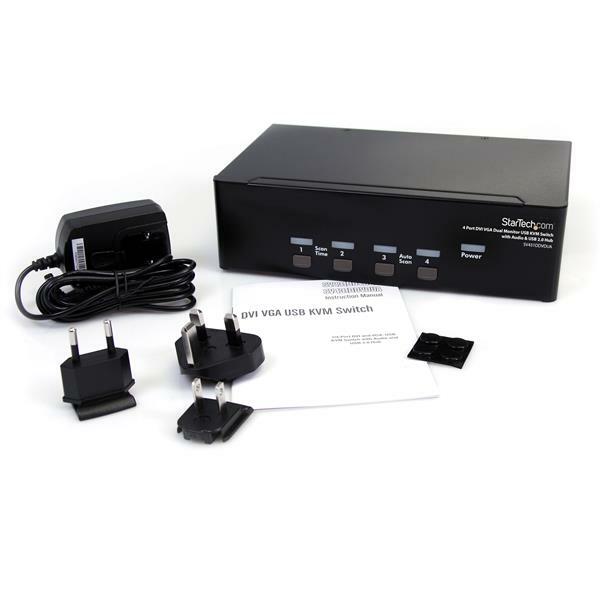 This KVM switch is meant to be used with two monitors, with up to two or four computers, each with an available VGA and DVI port. The VGA ports on the KVM switch only talk to each other, and the DVI ports work in the same way. Therefore, if you plug a VGA monitor into the KVM switch and only plug a DVI cable into your computer, your monitor will not work.